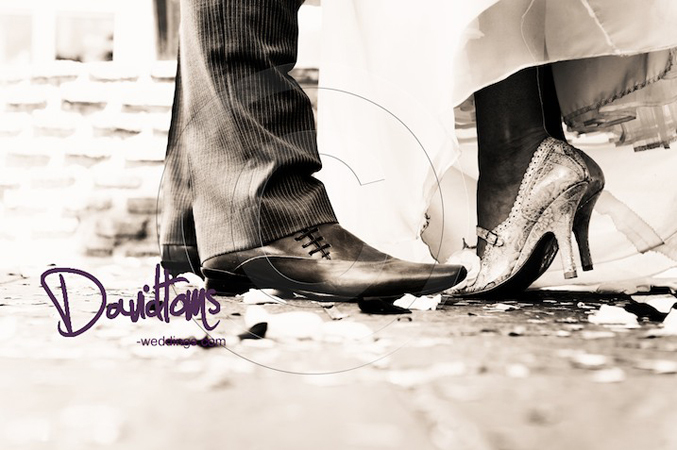 With Scott’s brother Craig getting married this year, we thought we would take advantage of this and give future brides-to-be a peek into their Spanish wedding planning process through the eyes of the bride. Scott’s soon-to-be sister-in-law Tamara has agreed (well, we blackmailed her into it) to keep a diary as she counts down to her beautiful big day. The first entry will be The Bridal Diaries – The Proposal and she will be stopping by regularly to share her musings on all those wedding related decisions, plans and issues we know lots of you are going through right now. 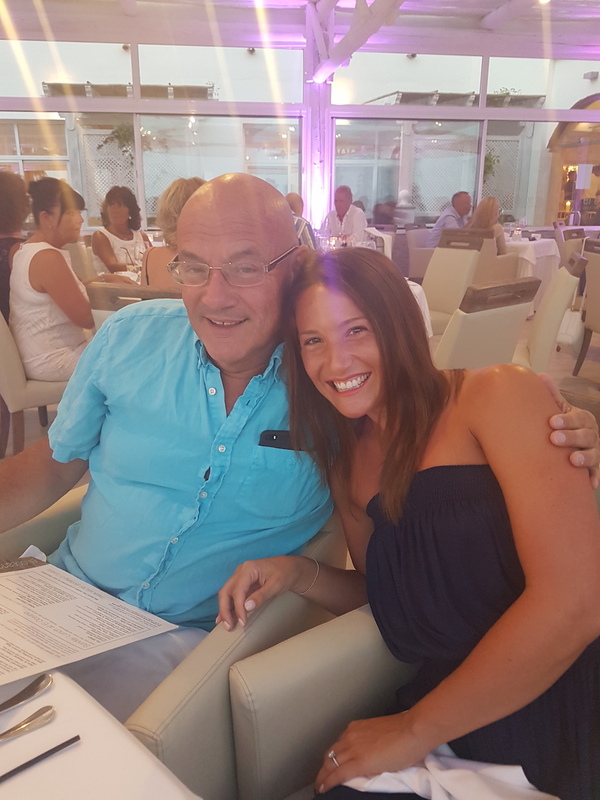 Tamara and Craig, are having a dazzling do in Marbella this coming June, so there’s not long to go but we’ll be supporting them every step of the way! OMG! I am getting married this year! My name is Tamara Beach and I am an Executive Assistant and bride to be. Last September Craig popped the question, and now it’s less than five months until the big day. Deep breaths! 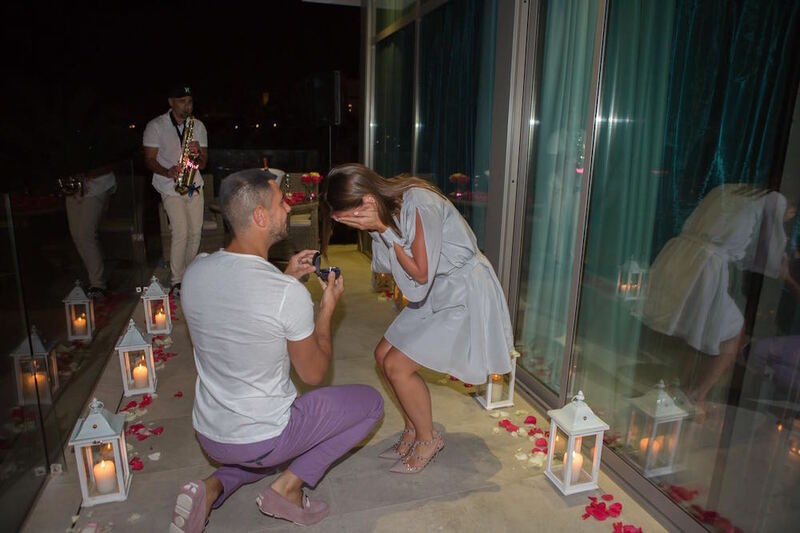 So let me take you back to how it all went down – the proposal, which was seriously the best day ever. I honestly had no idea at all that he was going to ask me to marry him, I am still, to be honest, a little bit in shock. We were having a mini break in Marbella having enjoyed a friends wedding day before and returned to the El Oceano Hotel after enjoying a tasting menu at a local restaurant. A wedding was taking place in the hotel grounds and I love weddings, so I told Craig I was going to go and have a little nosey. When he said no and that he wanted to go straight to the room as he wasn’t feeling well, I was slightly annoyed to put it lightly and called him a few choice names under my breath. Little did I know he was trying to get my upstairs for a reason. As I walked into our room I saw that it was filled with candles and beautiful flowers, with petals scattered over the bed. People always ask me how at that point I didn’t twig what was going to happen, but Craig always manages to plan something amazingly lovely for any special occasion we have ( I know – I am a lucky girl) so I didn’t think there was anything particularly suspicious about this. As I walked onto the balcony a saxophonist started playing our song. I turned to Craig and he was down on one knee and he asked me to be his wife (squeal!) I am very rarely speechless believe me but I was in such shock and as the photographer started taking photos it did cross my mind that I was being ‘punked’, To this day I am still not sure if I said ‘yes’ or not. I couldn’t sleep at all that night and was floating around on cloud nine. We spent the following morning looking at potential venues (more about that in a later post) and then we headed back to the hotel for lunch. I thought Craig’s parents had gone back to the UK already (this was all part of the master plan), so when I saw them sitting in the hotel I was totally thrown. I kept thinking, “Why have they brought a random bald man with them?” I ran over and started hugging them and it was only when this man tapped me on the shoulder that I realised it was my dad. I burst into tears. You see, my father doesn’t do things like this. Craig had arranged it all, bought his flights, sorted his accommodation. I was so overwhelmed I couldn’t really speak for the next 24 hours. We had a beautiful lunch and everyone had way too many drinks. Craig and Scott got my dad totally drunk, which was hilarious. I just have to thank the staff at the El Oceano, they were amazing and are still in touch with us asking for all the updates on our wedding. They and, of course, Scott and Craig made it the most amazing experience of my life. Now Scott has the added pressure of making sure the wedding tops the proposal! In the next post I will be talking about venues and wedding dresses, so please join me again as I share all my wedding planning highs and lows with you all.